It’s Thanksgiving Week… I caught a cold on Monday… But I FINISHED THE ZOMBIE MAKER TODAY! … Or well, I may add in additional items to it based on feedback, but it’s usable! 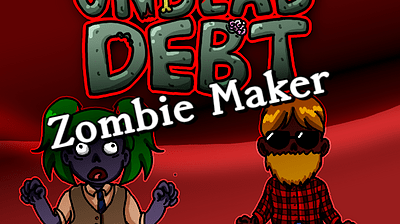 Zombify yourself – use the Zombie Maker to turn yourself into a Zombie. Then, post a comment with your zombiness: …and then maybe you’ll be in Undead Debt! Also if you have suggestions for additional outfits / hairstyles / accessories / etc. that would help you make zombie-you, let me know!